Just in time for Christmas, the National Museum of Bermuda has released a photo-packed new book celebrating the Island’s connections to the British Monarchy. Royal Bermuda, by the Museum’s Executive Director Dr. Edward Harris and journalist Rosemary Jones, of Brimstone Media, is a pictorial history of Bermuda’s four centuries of connections to the British Monarchy. Along with special chapters devoted to every official Bermuda visit by the Queen since 1953, the collector’s edition includes details of other royals’ stopovers since the Victorian Age, profiles of local collectors of royal memorabilia, plus a pictorial timeline with mini-biographies of monarchs who helped shape Island history from the 17th century to today. “We hope Bermudians, whether monarchists or not, will enjoy the nostalgia of many of the book’s images of royal visits taken around the Island over the past several decades, as well as the fascinating story of royal influence on Bermuda life generally—from our maritime heritage to tourism, defence, currency and, indeed, daily life,” said Dr. Harris. Royal Bermuda includes more than 350 photographs from private and public collections in its 11 chapters to help illustrate the royal family’s close ties to Bermuda. These include Queen Elizabeth II’s seven visits over 60 years—five of which were official tours with Prince Philip—and visits by a host of other royals, including George V, Edward VIII, Princess Margaret, and Prince Charles and Diana. “It also showcases enduring regal artifacts, icons, and hallmarks that distinguish the Island’s cultural heritage as one of the last remaining Overseas Territories, from its currency, stamps, street signs, and yacht clubs to its Royal Mail pillar boxes. There is also a full listing of local royal honourees—Bermudians recognised since the early 1900s with royal orders and honours for their civil, diplomatic and military service,” the Museum said. 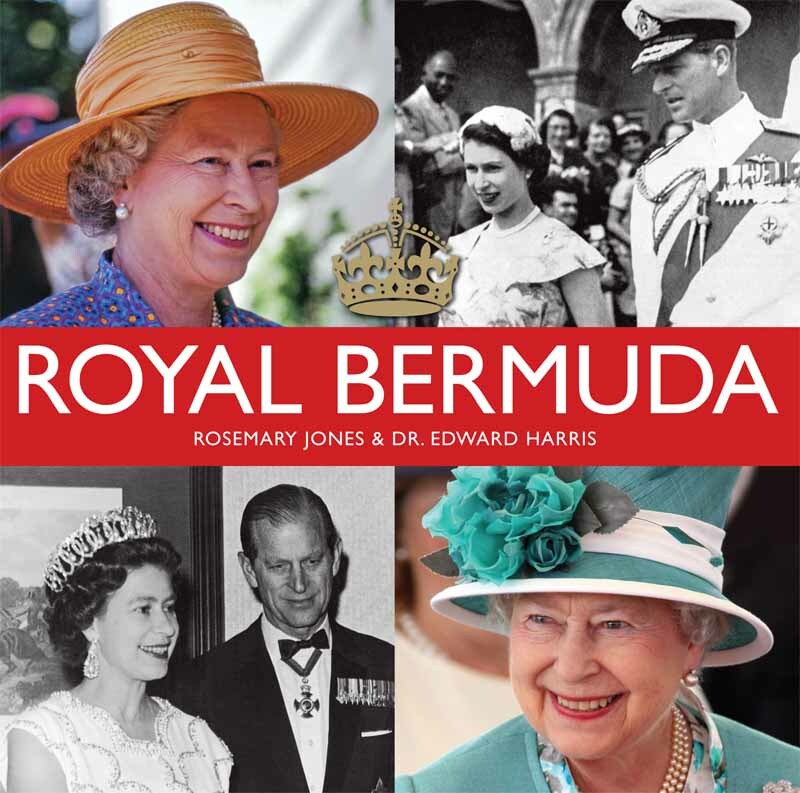 Royal Bermuda, retailing for $30, is available at local bookstores, and from the Museum. For more information, call 234-1333 or email curator@nmb.bm. Cant wait to see the one of our African Royal Heritage. I would but between de middle passage and de plantation becomes mysterious. I just found the perfect Christmas present for kunta!!! Kunta, please give me your mailing address and I promise to light up your Christmas morning with a nice gift from me, this book is perfect for you!! !